Rosin Tech Pro 15 Ton - FREE Shipping! 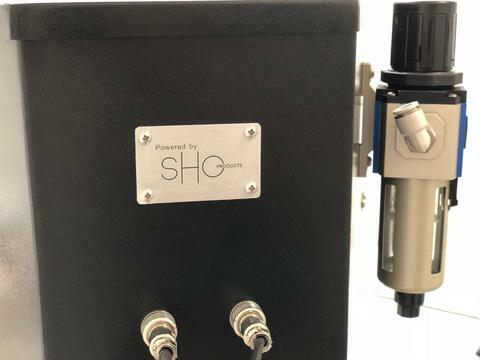 Rosin Tech Products latest solventless extraction rosin press, Rosin Tech Pro™. 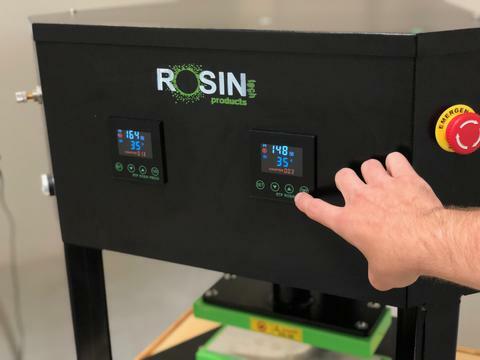 Featuring digital temperature and timer controllers, 15 TONS of pressure right at your finger tips, an interface that is easy to use and built in safety features, become a rosin pressing pro. Adjust the PSI to machine as well as the speed of the air pressure, both features which put the operator in complete control. These features will prevent any possibility of blow outs. There are safety mechanisms built into the press, including dual two-hand control operation. Additionally, should you need to cancel your press simply press the red stop button to disengage. 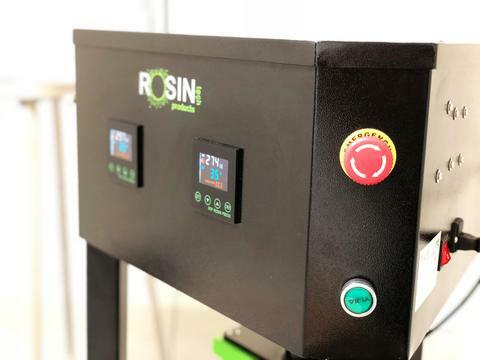 The Rosin Tech Pro is a great choice for labs looking to produce consistent, large batch quality rosin. From the moment you plug in the heat press, flick it on, you're up and running. The press can be utilized by anyone, the press is designed to work with ease, including critical safety features. 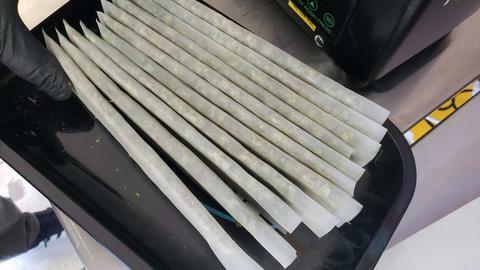 When Rosin Tech Products begins developing a new press, we always have a goal to have everything just work. And work incredibly well. This press unleashes 15 TONS of pressure within a brand new machine frame. The triangle takes advantage of large 3.25" x 9.75" plates with full speed and pressure control during the process.